Until recently no fashionista would be seen dead in seasonal patterned knitwear, but now the kitsch style is a must-have for designers and celebrities alike. 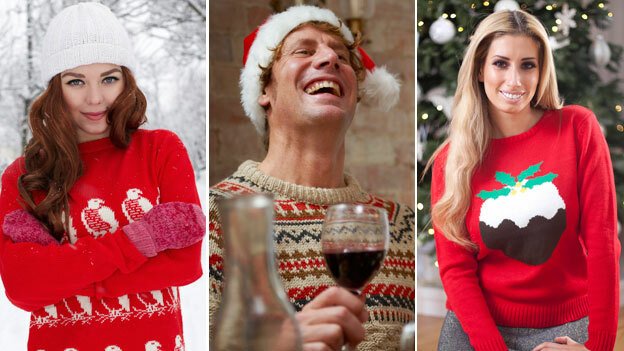 How did Christmas jumpers become so popular? They might be embroidered with reindeer, or snowflakes, or a cheerful Father Christmas. Knitted from variety of garish woollen hues, they look as though they are being worn to please a kindly but sartorially clueless grandmother. Once any self-respecting young adult would have been horrified to open their wrapping paper and find they had been gifted such a garment. But somehow Christmas sweaters have become not just acceptable, but cool – the gaudier the better. High-end designers have got in on the act, too. Ralph Lauren sells asnowflake-patterned turtleneck for £785 ($1,277). One yellow-and-pink Stella McCartney creation featuring two prancing deer retails at $1,230 (£755). Colin Firth in Bridget Jones’s Diary – an unintentional style icon? Celebrities as diverse as Kanye West, Cheryl Cole, Justin Bieber, Taylor Swift, Matt Damon, Samantha Cameron and Snoop Dogg have all been pictured in various woollen improvisations on the theme. Quite why trend-setters have decided that Andy Williams and Bing Crosby crooning festive ditties before a roaring fire, represent the ne plus ultra of style is surely one of fashion’s more baffling mysteries. 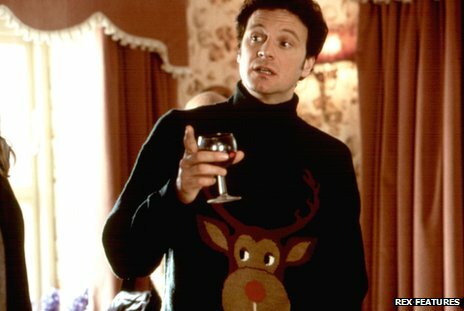 For most people in the UK, the arresting visual impact of the Christmas jumper first registered when Renee Zellweger’s protagonist of the 2001 film Bridget Jones’s Diary was introduced to her suitor, Colin Firth’s Mark Darcy, as he wore a roll-neck affair adorned with a giant reindeer’s head. In North America, the trend was already getting well under way. Ugly Christmas sweater parties – in which attendees compete to wear the vilest seasonal pullover – are thought to have first been held by students in Vancouver around the turn of the millennium. The craze quickly spread across the continent. Undergraduates would scour their parents’ wardrobes and second-hand clothes shops looking for the most hideous festive tops they could find. A mini-industry of retailers sourcing or manufacturing especially tasteless garments quickly mushroomed. Adam Paulson, a 30-year-old from Crown Point, Indiana, discovered this could be a profitable enterprise when he formed the online storeuglychristmassweaterparty.com in 2006 with two friends. “The more stuff on the sweater, the more glittery and jangly it is, the more it will sell,” he says. But somewhere along the line the Christmas jumper phenomenon ceased to be about looking as dreadful as possible – a sort of yuletide version of Halloween – and became something that esteemed fashion designers and High Street shoppers alike could buy into. “I had never heard of ugly Christmas sweaters but I found out there were these contests people would have to wear the ugliest. I thought, this is right up my alley. I could make sweaters that were even uglier. “What’s curious about it is how different ages do it. 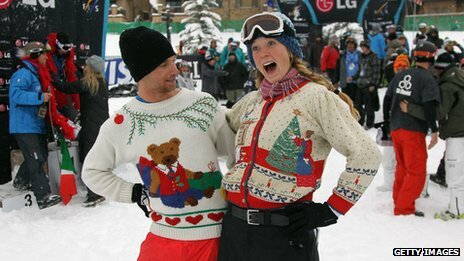 Ugly Christmas sweater parties were started by college kids in their 20s, but people who are older actually have these things in their closets.”The change in emphasis has been attributed to the rise of that much-maligned archetype, the hipster – the young urban bohemian, attired in self-consciously quirky thrift-store clothes. Their visual aesthetic – tight jeans, over-sized glasses, garish second-hand T-shirts – was exemplified in the films of Wes Anderson and, in the UK, parodied in the Channel 4 satire Nathan Barley. This subculture, growing in enclaves like Portland, Oregon, Williamsburg, New York and London’s East End, was quickly appropriated by the mainstream. The hipsters’ fondness for all things twee and retro – baking cupcakes, riding fixed-wheel bikes, using Polaroid cameras instead of digital – meant Christmas jumpers could be re-cast as modish. In the UK, where ugly sweater parties had never quite caught on in the same way, the onset of the phenomenon was perhaps more sudden. 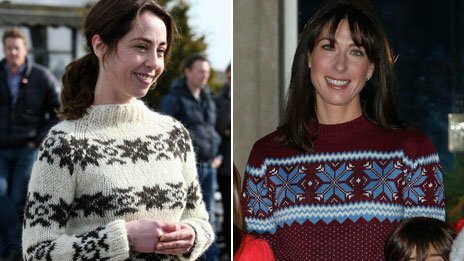 The popularity of Danish thriller The Killing – whose heroine, Sarah Lund, sported an array of knitwear, some of it snowflake-patterned – added to the garment’s allure. But even now, it isn’t enough just to buy any old Christmas jumper, says former Clothes Show presenter Caryn Franklin. To look fashionable, she says, one had to be doing it for the right reasons. “It’s hipsters that can wear it – they give it some edge,” adds Franklin. It’s this idea that a simple pullover must be accessorised with a raised eyebrow has turned some against Christmas jumpers. “It’s not the jumpers I mind, it’s the claim of ‘irony’,” writes Guardian fashion columnist Hadley Freeman, casting the UK’s fondness for such garments as proof that many British men are “ashamed of genuine emotion”. 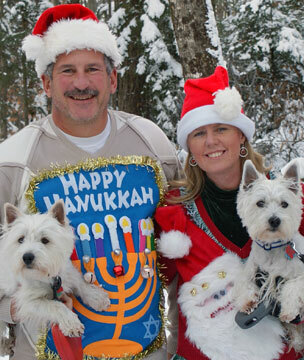 The Jewish festival of Chanukah or Hannukah takes place in December, and the lure of retro sweaters and cardigans knows no faith boundaries. But Jonathan D Fitzgerald, author of Not Your Mother’s Morals: How the New Sincerity Is Changing Pop Culture for the Better, believes there is nothing ironic at all about patterned woollens. Instead, he argues Christmas jumpers and, more generally, the hipster preference for everything retro and vintage are deeply rooted in a longing for the heartfelt and the sincere. While individuals might insist they are wearing a sweater ironically to give themselves an emotional get-out, Fitzgerald believes that deep down they are expressing a longing for the comforting certainties of a traditional Christmas. “Nostalgia is a huge hipster virtue,” he says. “This isn’t about irony, it’s about kitsch. If Fitzgerald is correct, even the most achingly fashionably urban trendsetters are still hoping for a cosy family festive season. It’s enough to make you buy a new jumper to celebrate.